[Also see “Our Call“] This year, 2015, marks the 125th year anniversary of the Wounded Knee Massacre that took place on December 29th, 1890. We, humankind, continue to be wounded, heart-speared by massacre almost daily! We suffer; we continue to create and perpetuate broken hearts and anguish. It is time! Let us end this heinous activity. Please join us in unity and determination to end massacre. Let us use this unique opportunity to collectively begin a great and momentous turning. 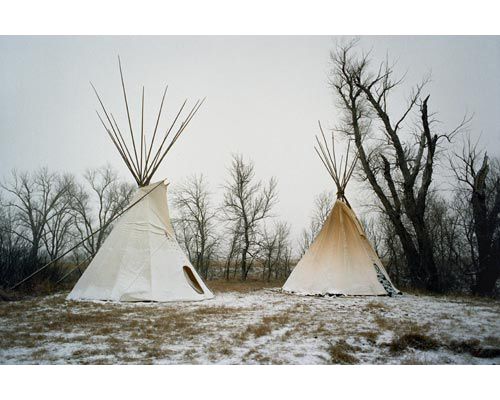 Come heal with us at Wounded Knee! Pledge with us, join us. We invite Indigenous and non-Indigenous alike to hold Ceremony with us at 12 noon, December 29th wherever you are on the globe. Please go to your sites of massacre and human transgression and pray with us and invite the Sacred to journey with us in our commitment to end massacre. We honor those who have passed on; we honor ourselves; and we honor our future generations. As you are holding Ceremony with us, you are invited to send us your story, your poetry, your message, your prayer to be read on the Big Foot Ride and at our Ceremony at Wounded Knee, you can contribute and register your Ceremony location by clicking here. This goal, this task we have set for ourselves — to end massacre — is not easy, but it is indeed worthy. Massacre arising out of hatred, racism, conflict, and multi-generational, multi-lineal roots is perpetuating itself. We are breaking this vicious cycle. We are healing from this madness. At this momentous time we are all gaining the strength, love, and wisdom to move beyond this legacy of destruction. Indigenous peoples around the world are bringing back ceremony, bringing back healing practices, bringing back the sacred into our lives. It is with the sacred that we can end massacre. It is with the sacred that we can heal. It is with the sacred that we can make this Great Turning to save our relations with one another, with our sacred planetary home, and with the Divine. To Pledge with us to break this vicious cycle click here. 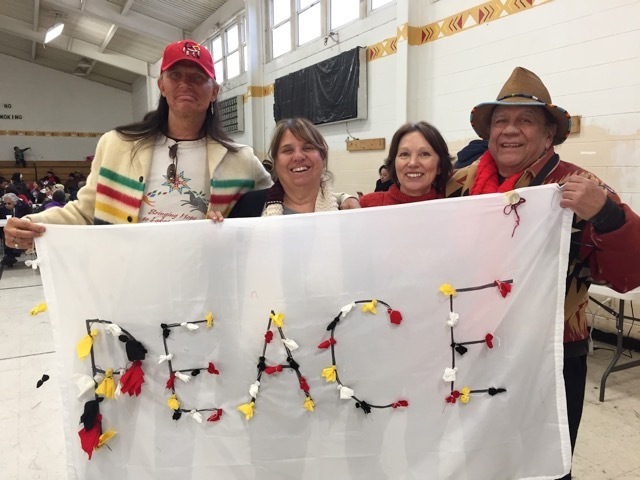 Healing Hearts at Wounded Knee [HHAWK] is a focal point for leadership in healing ceremonies and modalities to heal essential and ancient wounds of humanity. Healing Hearts at Wounded Knee will ignite this process of healing for Indigenous and non-Indigenous communities alike. We endeavor to connect Indigenous and modern wisdom in a synergistic and transformed way to tackle the complexity of our common human challenges now. All are encouraged to join us locally in your own very unique and precious way, singly or in groups, crowds, throngs. Let us honor and invite the Sacred wherein all things become possible. Let us individually become one in heartfelt song, prayer, and ceremony simultaneously. Our prayers will be very strong!